Excessive water and caterpillars don’t normally mix well. However, most caterpillars are able to survive heavy rain and species such as the Oak Eggar (Lasiocampa quercus) (above left) and Fox Moth (Macrothylacia rubi) (above right) that are often found out in the open, have hairy skins that are water resistant. 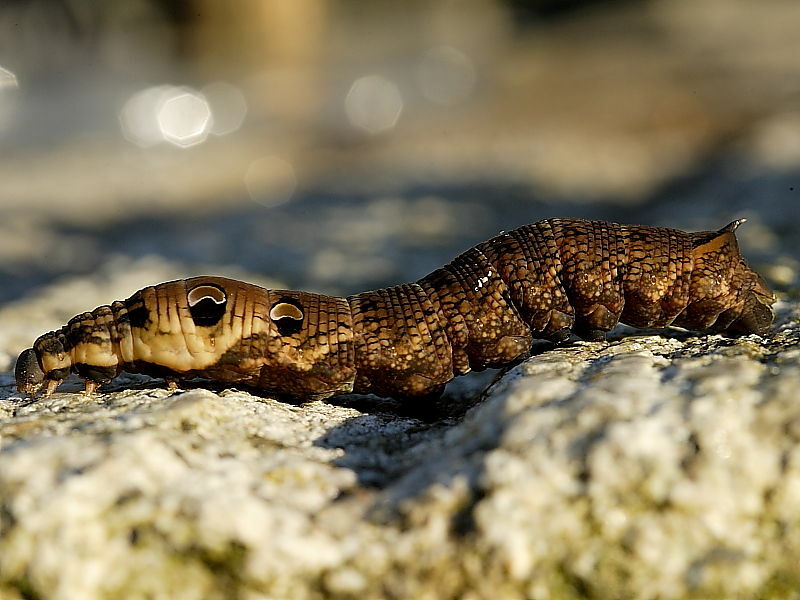 It seems improbable but some caterpillars such as the Elephant Hawk-moth (Deilephila elpenor) (above left) have actually been recorded swimming across ponds. 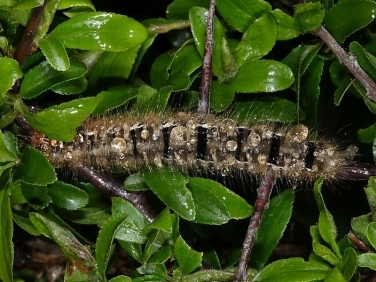 The Garden Tiger (Arctia caja) moth caterpillar (above right) has been found to be able to survive underwater for several days as a result of air being trapped within its excessively hairy coat. There are also records of other less hairy species surviving after being submerged for many hours. The Nymphulinae family of moths have caterpillars that are aquatic, living in spinnings amongst water weeds. What are those brown blotches on my plant’s leaves? 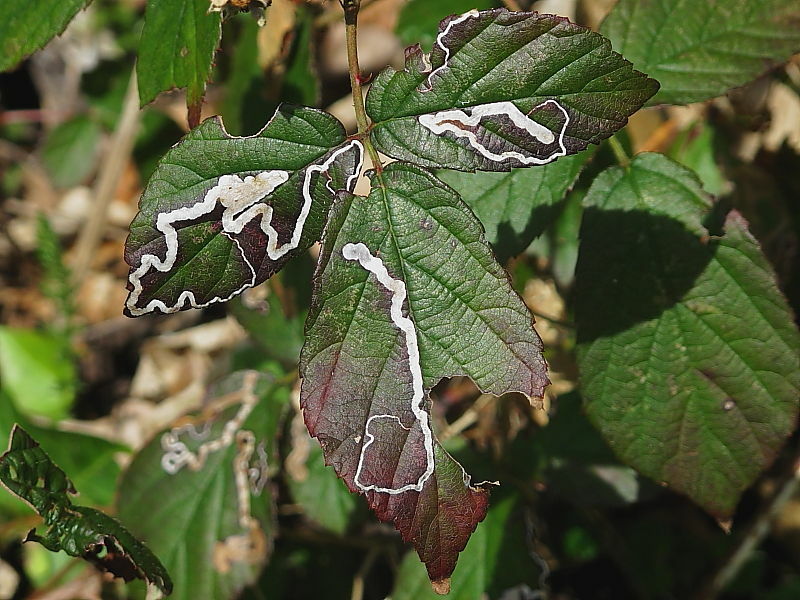 Some caterpillars of the tiniest micro moths are called leaf miners because they spend their lives feeding within the inside of the leaf membrane. 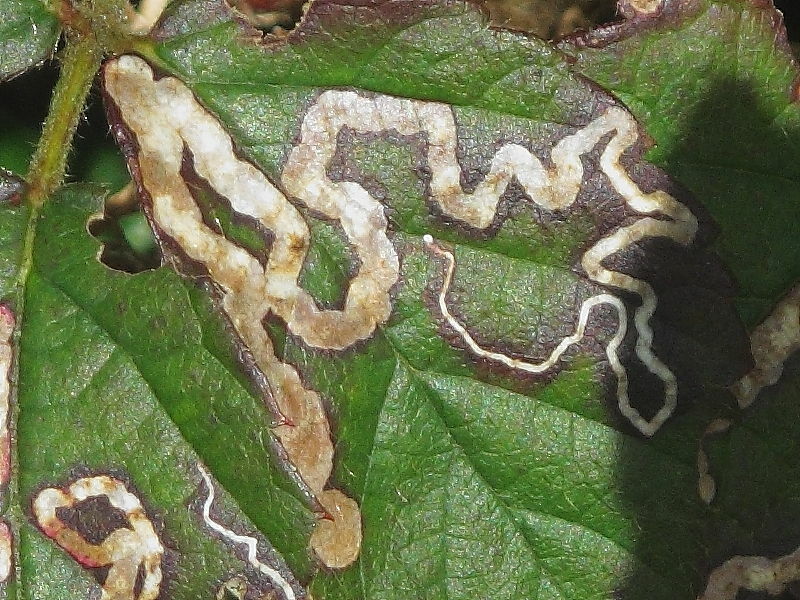 Their presence is given away by a brown trail called a mine in an otherwise green leaf (shown above). 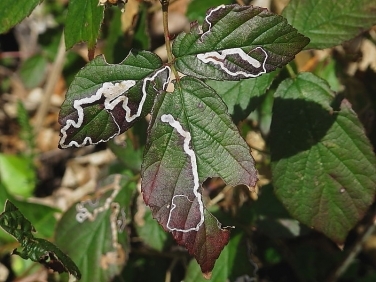 Experts in this field can determine the type of caterpillar species responsible by the pattern of the leaf mine and the plant species. Many of these caterpillars are seen as pests by gardeners, farmers and woodland managers. 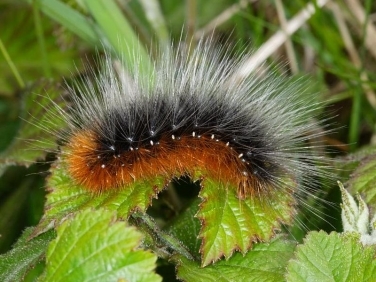 With thousands of British caterpillar species recorded and untold millions of each of those species it would seem reasonable to assume finding them would be an easy matter. 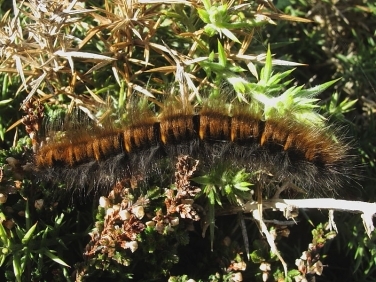 For some this may be true but generally finding caterpillars is far from straight forward. searching – this is often a case of getting down on ones hands and knees and searching amongst the lower stems and roots of plants. It should be remembered that to stand the best chance of any of these methods being successful it’s best to do some research into the likely species to be found in a particular habitat and at what time of year.